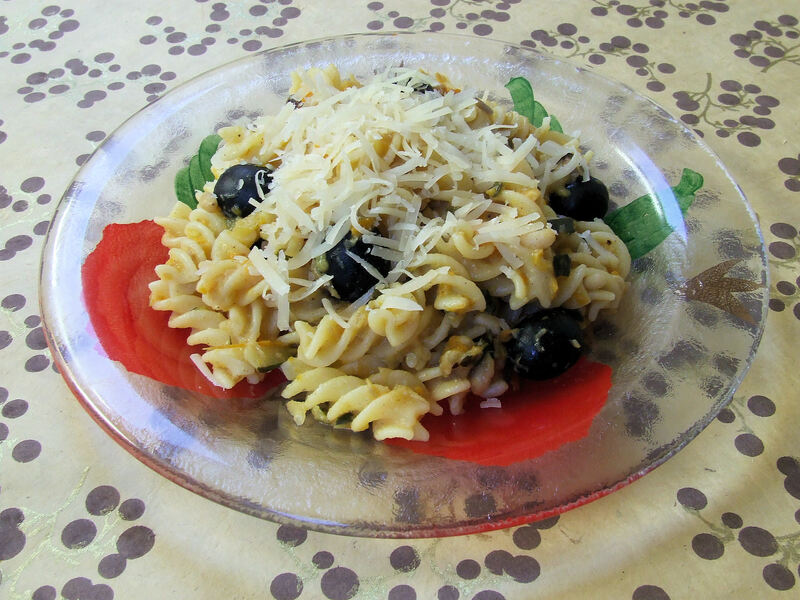 This recipe is a light roasted vegetable pasta sauce for use with gluten-free pasta. It is a great recipe for a warm summers day to eat alfresco. Mix the tahini, oil, cinnamon and juice from the lemon and season with salt and pepper. Chop the courgette and aubergine and mix the tahini with this and then roast. Add the roasted vegetables to the peppers and chop, add the olives. Add to cooked warm gluten-free pasta and serve.